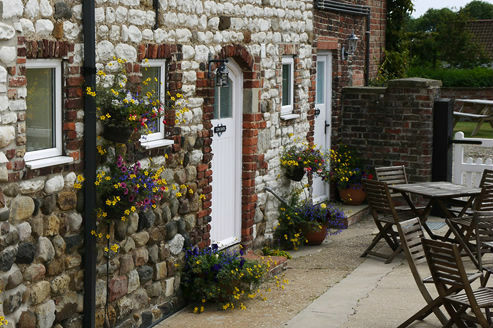 When you arrive at Grange Farm Cottages on Yorkshire's beautiful East Coast, you will find a warm and friendly welcome awaits you. Our award winning family owned cottages are situated on the beautiful Flamborough Headland Heritage Coast, mid-way between the bustling seaside town of Bridlington, the quiet fishing village of Flamborough and Bempton Village with its world famous RSPB seabird colony. The cottages are comfortably appointed with gas central heating, spacious lounges, satellite TV, fully equipped kitchens, cosy bedrooms and all your home comforts catered for. Bed linen and towels are supplied. Some of our cottages are particularly suitable for use by less able visitors. The cottages, which sleep from one to nine people, are grouped around a beautiful and safe sheltered, sunny courtyard, bright with flowering tubs and hanging baskets - the ideal place to sit and relax. There is a fully equipped laundry room, a games room with pool table, books, children's toys and payphone. 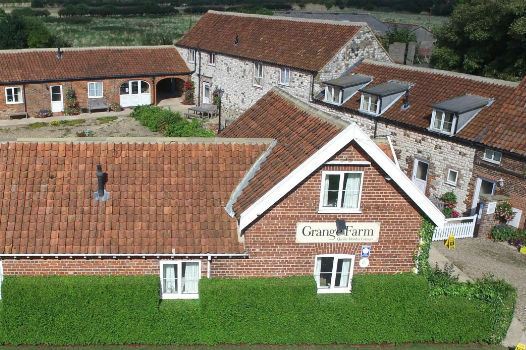 There is ample off road parking and a farm shop and tearooms are a five minute stroll away. 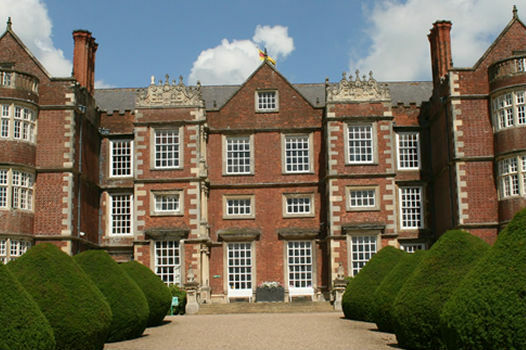 Within a short walk of the cottages are Sewerby Hall and Gardens, Danes Dyke Nature Reserve, a links golf course, a public swimming pool, land train to Bridlington, cliff top walks, beaches and several places to eat. The surrounding area is also excellent for walking, cycling, bird watching and nature lovers. We regret pets and smoking are not allowed.